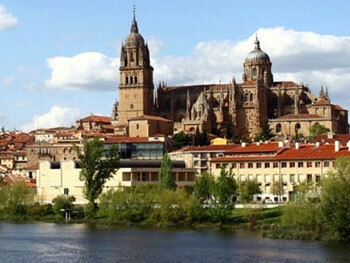 Come and join us on an A-Level Revision course in Salamanca - a city renowned for its vibrant university life! Home to one of the oldest universities in the world, Salamanca attracts students from across the globe, giving the city a youthful spirit and providing a fantastic contrast to its rich history and culture. The city’s young population means that you will have plenty of opportunities to socialise with students of a similar age and practise the Spanish skills you have learned in class with native Spanish speakers! Situated just a 5-minute walk from Plaza Mayor, the city’s central square, you won’t miss the chance to discover Salamanca’s main attractions and really immerse yourself into the Spanish way of life. 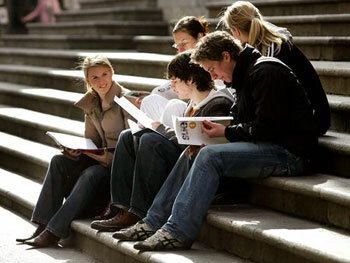 We will ensure that you return from your trip feeling more prepared for your exams than ever before! 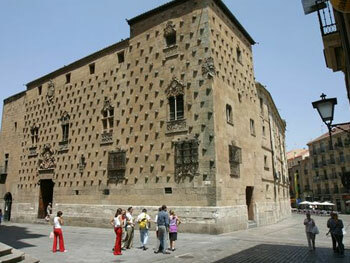 Our A-Level revision course in Salamanca consists of 25 lessons per week, which take place on a Monday to Friday basis. For 20 of the lessons (4 per day) students will join the Intensive Spanish groups, with lessons which aim to improve students’ general language skills. The remaining 5 lessons will concentrate on targeted A-Level revision. This course is suitable for students preparing for their AS or A2-Level Spanish examinations, with any examining body in the United Kingdom. The A-Level specific lessons also aim to develop general Spanish skills and have a theme-based approach. Stay with a local Spanish family and fully immerse yourself into the Spanish way of life! All host families have been carefully selected by our colleagues in Salamanca, and provide a welcoming home for students during their stay. You can choose between half-board (two meals per day) or full-board (three meals per day). Some activities are free to attend and others incur a small fee, but these can all be booked and paid for upon your arrival. 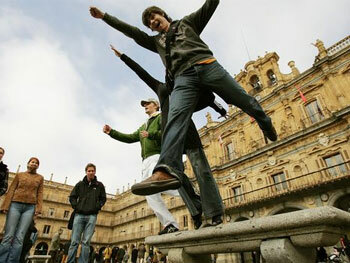 Most of our students fly into Madrid airport, or it is also possible to fly into Valladolid. We can organise airport transfers from / to Madrid at an additional cost, which will take you directly to your accommodation.